How to reposition logo, title and menu? I am trying to reposition these elements higher up in the header of my project and do not see how to accomplish this. Thanks for the reply. I forgot to attach this screen shot. I wanted the fields to be higher in the header but your reply had me rethink what I was doing. I will not put this background in the header and instead make the header smaller with the menu title etc. I will put the image in a “Hero?” type bloc in the global area. Thus it will only appear on page 1. I am not a programmer and last got involved with a personal web back in the early Rapidweaver days. 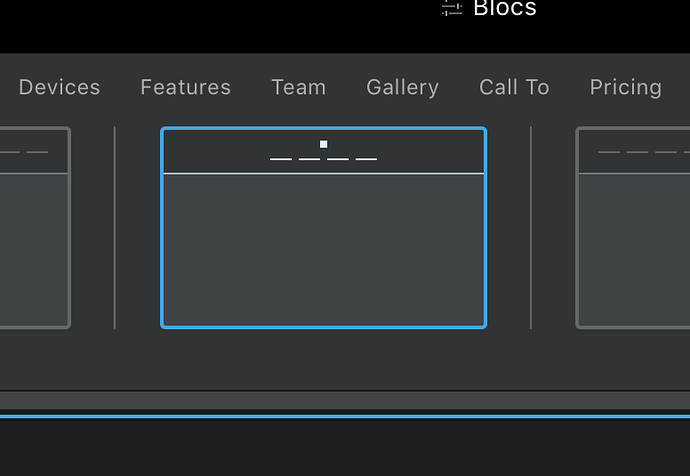 It is a huge learning curve but I already see the advantages of Blocs.